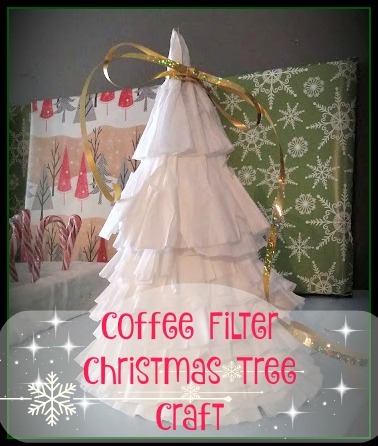 Here's a quick kids Christmas craft that you can do if you have some coffee filters lying around your house somewhere. The only other supplies that are needed is an expensive cone from the craft store and whatever you would like to decorate your tree with. 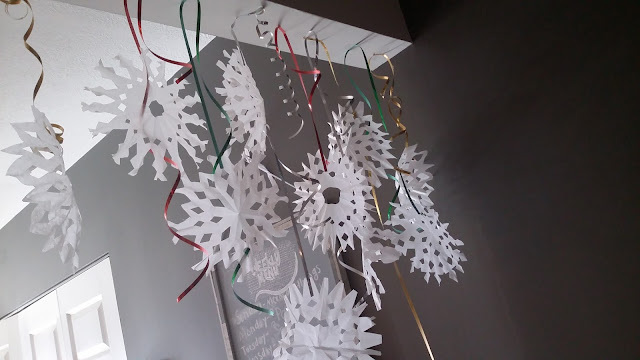 We were making snowflakes out of coffee filters last week and things didn't always work out as planned! There were several that kind of . . . . well. . . . . didn't look like snowflakes. I didn't want to just throw them away or recycle them without using them first. 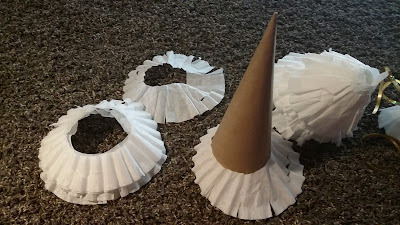 I had bought these cardboard cones to use as a Christmas decoration. 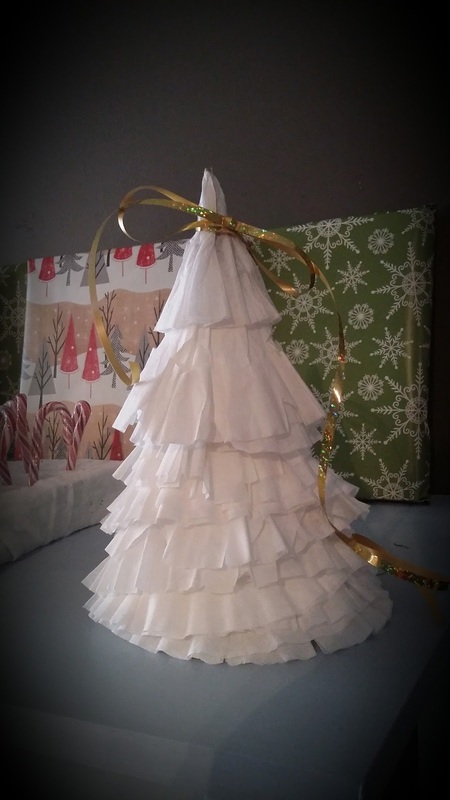 The cone I used for this tree is one of our larger cones and cost less than $1 at our local craft store. I wasn't sure exactly how I was going to use the cones yet. 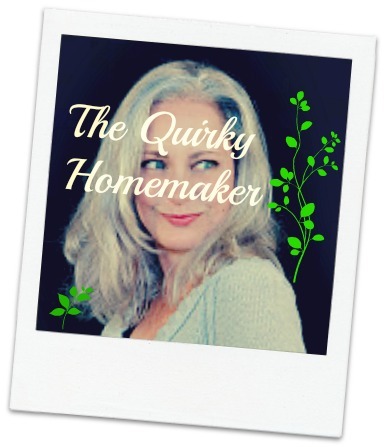 And then an idea came to me. 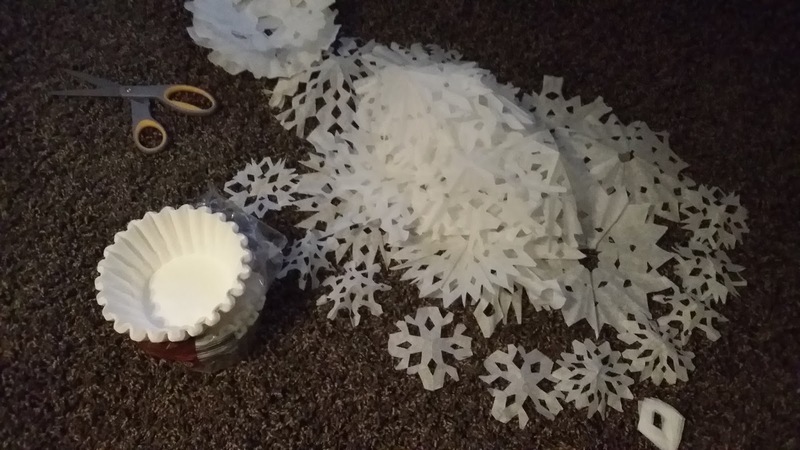 I figured the holes that were in the middle of these coffee filter snowflakes would fit right over the cone and would look like a snowy Christmas tree. I simply layered the filters on the cone and pressed them against the cone to shape them into a tree shape. Coffee filters are really inexpensive and unless you have a Keurig, you probably have some lying around your house somewhere. We use them to cover bowls when we use the microwave. 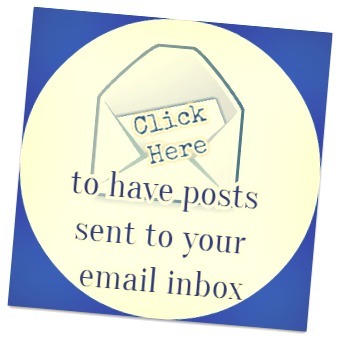 This was easy-peasy and would be a fun craft for kids to do. You could also decorate the tree by painting little red or green dots to be Christmas decorations. I left mine plain, pure white. 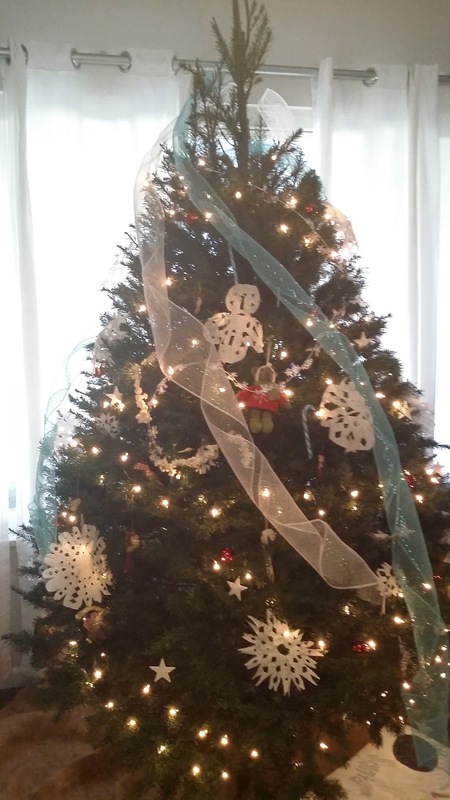 The only decoration our snow-white Christmas tree got was a little gold ribbon bow. As for the rest of those snowflakes. . . . . They got hung from the ceiling a la ELF and put on our Christmas tree. I think the tree turned out cute! What do you think?